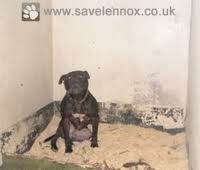 Lennox, guilty of nothing but looking like a banned breed was taken from his family, kept in awful conditions for 2 years & killed by Belfast Council in questionable circumstances. When I was about eight I was nearly bitten by an English Springer Spaniel. Thinking him to be just like my best friend at home, I reached down to tickle him but he growled and lunged at me. I got the shock of my life, but I also learned a couple of very valuable lessons 1) always ask before approaching a dog you don’t know and 2) don’t think breed is an indicator of temperament. Last week, 14-year-old Jade Lomas-Anderson was killed by four dogs at a friend’s house in Wigan, UK. Horrifying and heart-breaking, it’s hard imagine losing a child so young, yet alone in such circumstances. Predictably, the news reports, still waiting for confirmation of the facts, started speculating on whether any of the dogs responsible were from a banned breed. When it emerged that they weren’t, the flames of speculation were duly fanned by the suggestion that Bull Mastiffs and Staffordshire Bull Terriers should be added to the list. Genius idea. Dog bites have actually risen by 41% since the Dangerous Dog Act was introduced according to HES so on what planet does this sort of thinking make any sense? I was enraged, not just because I’m a dog lover, but by the laziness of the reporting. A beautiful young girl had been killed in appalling circumstances and they had rolled out the usual lazy, hackneyed tripe about banned breeds. It’s akin to obsessing about the make of car involved in a hit and run and not tackling the real issue of who was behind the wheel. The elephant in the room here is that by focussing so myopically on breed we’re totally missing the point. Would our children be safer if we told them it was okay to talk to strangers just so long as they weren’t French, or Greek or any other arbitrary classification? Of course not. As I found out all those years ago, any dog is capable of biting, just like any human is capable of harming another. To keep people safe we need to educate them on how to treat dogs ethically and how to meet their needs – for exercise, training, socialisation and security to name but a few, but while any moron can knock out a litter of puppies in their garden shed to earn a few quid and while utter garbage like Caesar Milan is allowed to pass for national dog training, is there any wonder that we have damaged and fearful dogs out there and owners without the first clue of how to properly care for, train and manage them? That the media and government compound this lunacy by suggesting that eradicating some breeds of dog will magically solve the issue is just beyond comprehension. We do need tougher laws, but they should be around the strict control of the breeding of all dogs. Licence all breeders and stamp out the quick buck mentality fuelled by the likes of Craigslist and PreLoved that provide an easy market for flogging puppies like second-hand sofas. When we declared a war on drugs we went for the source and we educated people so why not take the same approach with dogs? Our rescue centres are bursting at the seams and according to Dogs Trust, nearly 8,000 are killed every year by local authorities and other ‘rescues’ due to a lack of homes which is a disgusting waste of life and should be a point of national shame. When dogs can’t be bought online, in pubs and out of the boots of cars, there’ll be more opportunity for licensed breeders and rescue organisations to vet would-be owners and to educate and support them to raise their dogs in a responsible manner. Breed specific legislation has done nothing to keep people safe and adding to it will be a pointless waste of time and public money. It will also bring untold heartache for thousands of committed and responsible dog owners all over the country and allow the backstreet breeders to continue to peddle their misery. Enough is enough.